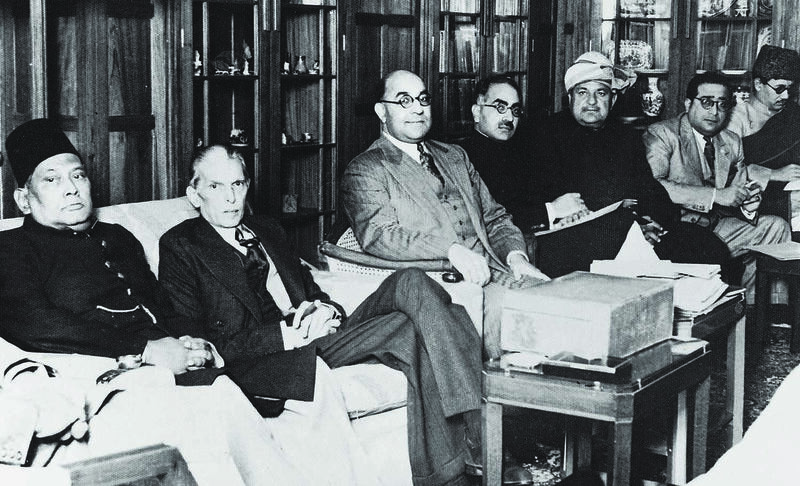 Liaquat was as pivotal to the consolidation of Pakistan as the Quaid-i-Azam was central to the creation of Pakistan. 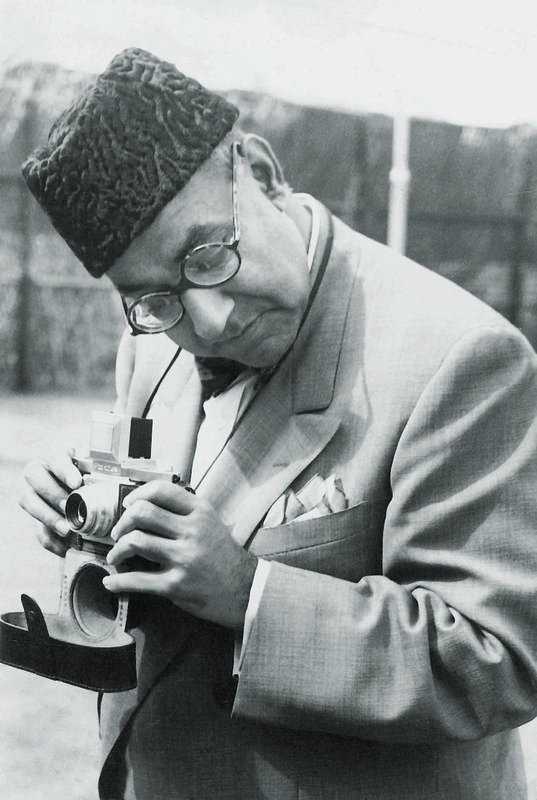 LIAQUAT Ali Khan was as pivotal to the consolidation of Pakistan as the Quaid-i-Azam, Mohammad Ali Jinnah, was central to the creation of Pakistan. He became the country’s first prime minister not simply because he was a trusted lieutenant of Jinnah, but by virtue of his proven leadership skills in having led the Muslim League bloc in the interim government before partition. Liaquat, having left all his property in India, refused to file a claim to which he was entitled as a ‘refugee’. The Nawabzada reduced his standard of life and set about building institutions in the new country. Such was the stuff the man was made of. 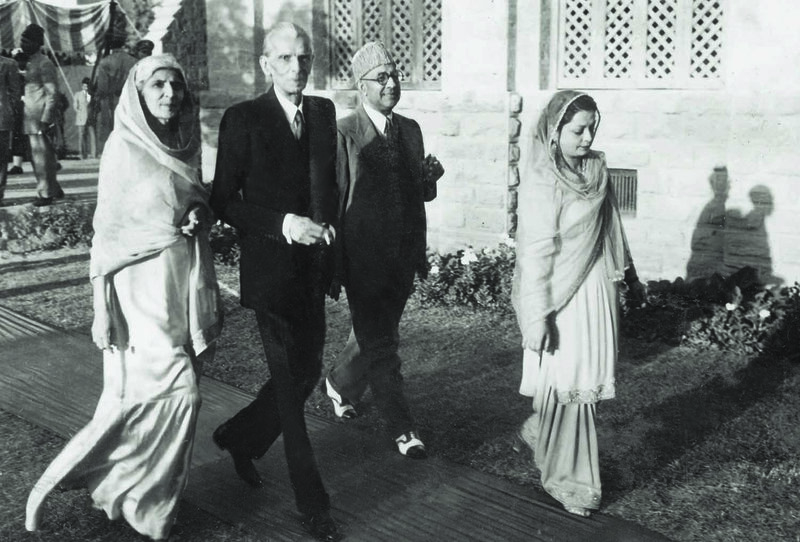 Quaid-i-Azam Mohammad Ali Jinnah and Miss Fatima Jinnah (left) arriving in December 1946 at the Gul-e-Rana residence of Nawabzada Liaquat Ali Khan and Begum Rana Liaquat Ali Khan (right) in New Delhi to attend a reception given in honour of Mr Jinnah. | Photo: The Press Information Department, Ministry of Information, Broadcasting & National Heritage, Islamabad. The course of Pakistan’s journey can be seen meandering its way from a prime minister proverbial for his probity and down to his successors who every now and then faced investigations related to their wealth. It is no wonder, then, that after Pakistan had turned the corner in terms of consolidation, questions began to be raised regarding the constituency of Liaquat in Pakistan. His tenure as prime minister is seen by certain quarters as having set a controversial path for the nation to follow. There have been two basic contentions. The first one relates to his decision to move away from what used to be the Soviet Union. The decision also had its reverberations in the Rawalpindi Conspiracy case. The invitation for Liaquat to visit Moscow came a year later, on June 2, 1949, through the Soviet ambassador to Iran. Russia thereafter insisted that ambassadors be exchanged prior to Liaquat’s visit. Although on June 9, Sir Zafrullah Khan tried to stall the move, Liaquat proceeded regardless. The Pakistani ambassador was appointed on December 31, 1949, while the Soviet ambassador was appointed on March 22, 1950. In June 1949, the USSR ‘advanced’ the date of the invitation, from August 20 to August 14. 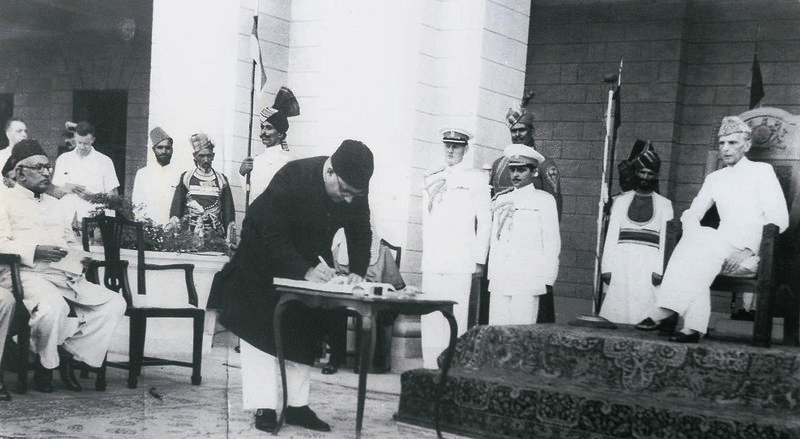 Liaquat could not agree to the date as it happened to be the first Independence Day of Pakistan after the Quaid-i-Azam’s demise. Subsequently came an invitation from the US and Liaquat proceeded there in May 1950. Liaquat mentioned the Soviet invitation when leaving for the US, while he was on the US soil, and on his return home. A year later, Liaquat, while addressing a press conference in Karachi, explained the position thus: “I cannot go [to Moscow]until those people who invited me fix a date and ask me to go on such date … The invitation came. Later on, they suggested August 14, 1949. I replied that this is our Independence Day. I can come on any day after that; after that they have not replied”. I am not the first to challenge the ‘myth’ of the Moscow invitation. Others, including Irtiza Husain, Mansur Alam and Shahid Amin, have preceded me. Syed Ashfaque Husain Naqvi, a diplomat based in Tehran at the time, rejected the allegation that Liaquat had cadged an invitation. And this is what Dr. Samiullah Koreshi, who was posted at Moscow, related in his book ‘Diplomats and Diplomacy’: “Mr. 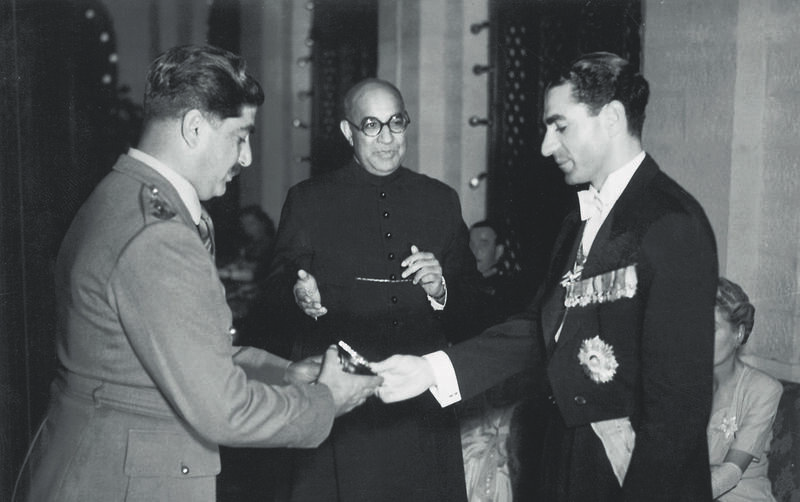 Shuaib Qureshi was the first ambassador to USSR [in 1949] … He called on Andre Gromyko, then deputy foreign minister, to tell him that the prime minister had dispatched him post haste so that he could make all arrangements for his visit to Moscow in response to their invitation. [Gromyko replied] ‘Our invitation to your prime minister? Oh, you mean your proposal that he come here’.” Thereafter, the Soviet government did not revert to the subject. The point is that the change of date having been made by the Soviets and Liaquat having conveyed his reservations clearly, Pakistan cannot be accused of having tried to pit one world power against the other, or of having picked up any of the two. He simply went ahead with the invitation that was valid and cannot be charged with failure to make use of the one that was not there on the table. The other controversy regarding Liaquat’s tenure relates to the Objectives Resolution which is blamed for having opened the door for the subsequent Islamisation of General Ziaul Haq. Regardless of whether or not Pakistan was to be an Islamic state, the Pakistan movement clearly shows that it was not meant to be a territory with an ideology, but an ideology with a territory. Securing human rights and survival for a community suffering from religious discrimination is of ideological, and not of territorial, import. The Objectives Resolution moved by Liaquat is denounced as a regressive document by which he allegedly sought to nullify the secular vision of the Quaid-i-Azam. To determine the veracity of the charge, we need to see three documents. What is the difference between the two drafts? The one presented by the ulema negates democracy, while Liaquat’s draft asserts it. Without democracy, even a minority sect can rule over a majority sect; a situation that has thrown the whole of the Middle East into confusion today. It is true that members of the Pakistan National Congress had raised objections to the Resolution, but, among many others, it had the support of Sir Zafrullah Khan and Mian Ifthikharuddin who represented two divergent schools of thought and became part of religious and political minority in later years. And this in itself is a proof of Liaquat’s sincere intentions in moving the Objectives Resolution and of the tinkering that the Resolution suffered afterwards. Besides, Liaquat had held out the assurance that the Objectives Resolution would not become a substantive part of the Constitution. This, and other linguistic jugglery, was done much later by General Ziaul Haq. Therefore, it is unjustifiable to blame Liaquat for the excesses caused by the dictator that opened the door for even more abuse than he himself probably thought of. Whatever the critics might say, Liaquat was what he was. It was a real achievement on his part that he could set Pakistan on the course to industrialisation. Western countries, seeking to ensure Pakistan’s demise, refused to supply even on payment, machinery and parts. They wanted Pakistan to be subservient to India. Liaquat nevertheless was able to procure the necessary equipment from East European countries in return for hard cash. Sishir Chandra Chattopadhaya had stated on the floor of the Constituent Assembly that the link between East Bengal and Calcutta could not be broken. Liaquat broke the link. He refused to devalue currency when Britain and India did so. In the face of the Indian threat not to lift jute at the new price, Liaquat went to the growers, directly pleading with them not to sell at the old rate. If need be, the government of Pakistan would lift the entire stock, he assured the growers. The jute mills of Calcutta could not run without jute from East Bengal and, ultimately, the owners purchased at the new rate. 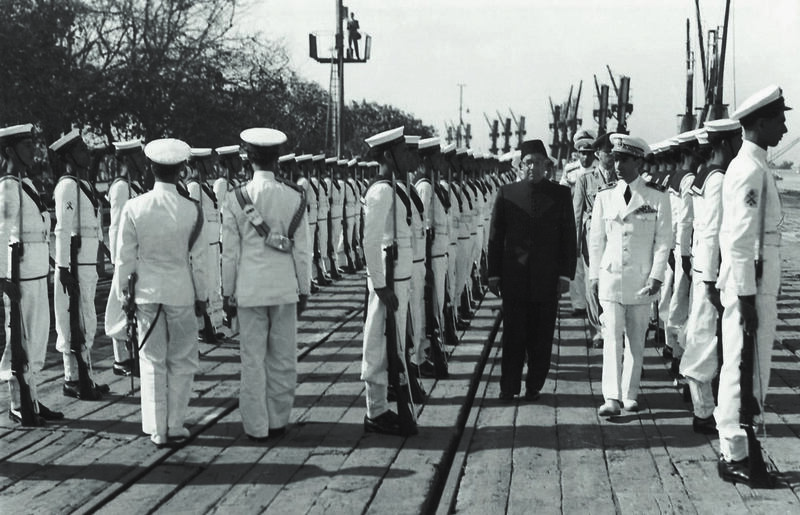 This single decision enabled Liaquat to derive full benefit from the boom created by the Korean War, and the country, which had been written off as unviable, became more than solvent. The British, since 1857, had imposed certain standards for the recruitment of soldiers. Liaquat removed them and started the induction of Bengalis in Pakistan Army. Similarly, there was only one ICS officer from East Pakistan, Nurun-Nabi Choudhry. Liaquat immediately fixed a 50 per cent quota for East Bengal civil servants to generate parity. The critics of Liaquat survived, but Liaquat did not. And he died in circumstances that have never allowed anyone to pinpoint the actual killer … or killers. Liaquat’s life and actions generated controversies when there should have been none, and his death remains a controversy that failed to generate much interest where it mattered. Liaquat definitely deserved better. The writer is a historian and biographer of Liaquat Ali Khan. This story is the eighth part of a series of 16 special reports under the banner of ‘70 years of Pakistan and Dawn’. Visit the archive to read the previous reports. HBL has been an indelible part of the nation’s fabric since independence, enabling the dreams of millions of Pakistanis. At HBL, we salute the dreamers and dedicate the nation’s 70th anniversary to you. Jahan Khwab, Wahan HBL. 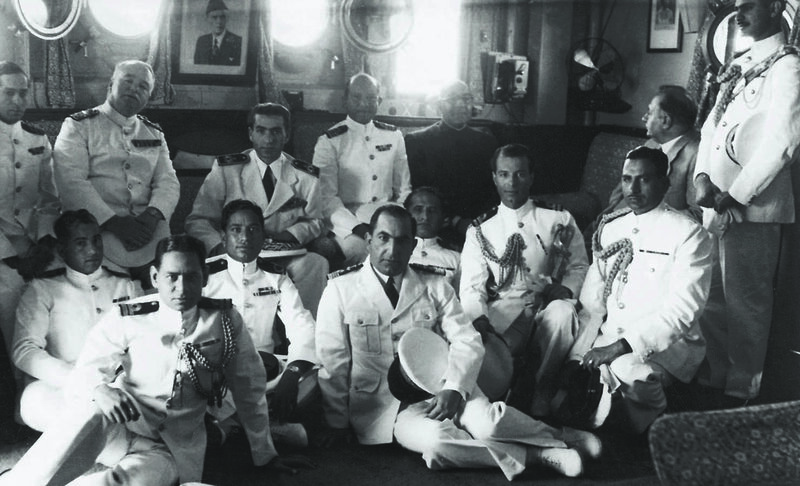 IN March 1950, His Imperial Majesty, the Shah of Iran, arrived in Pakistan on a seven-day state visit. Iran was an important Muslim neighbour and the first country to officially recognise the new state of Pakistan. 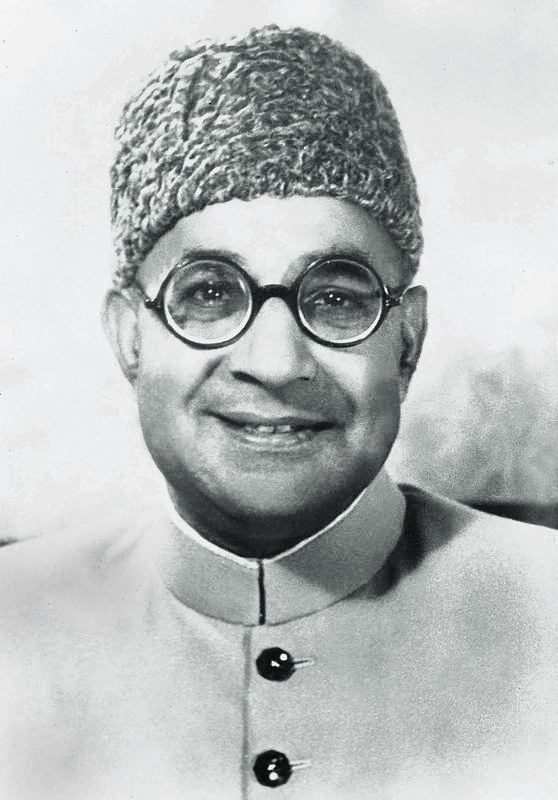 Nawabzada Liaquat Ali Khan was Pakistan’s Prime Minister and also held the Defence portfolio at the time. He perceived this visit as an appropriate opportunity to communicate to other neighbours – and the world at large – the power of Pakistan’s military, naval and air might. 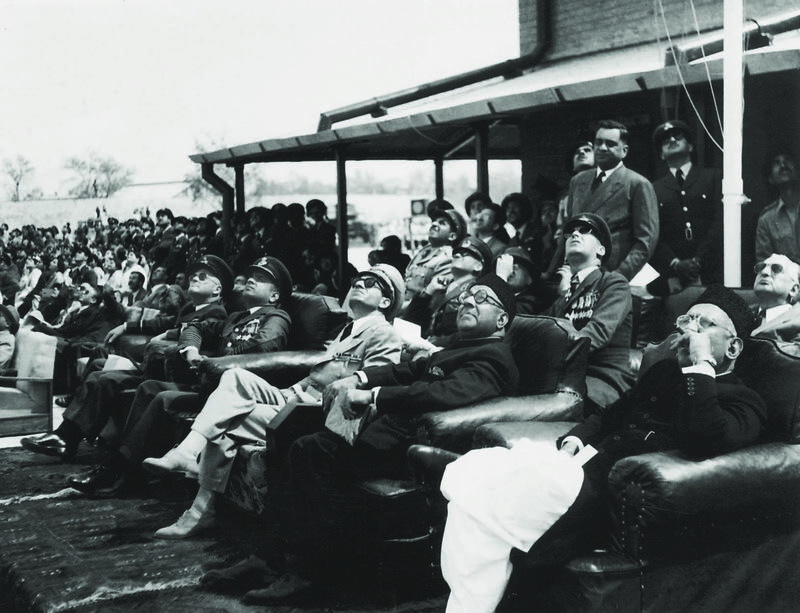 The Shah, as such, was taken around Pakistan’s military installations in Karachi, Lahore, Quetta, Peshawar and Risalpur during the visit. 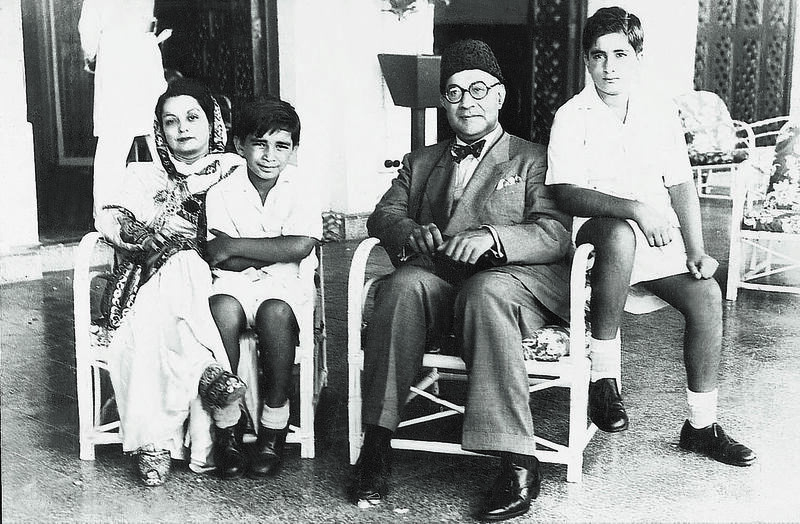 LIAQUAT Ali Khan, one of the heroes of the Pakistan Movement, was the builder of the nation in its nascent years. The Pakistan of 2017 — on the 70th anniversary of its independence — is in many ways Liaquat’s creation as he established most of the policies Pakistan follows today. Liaquat had been a devoted follower of the Quaid-i-Azam, Mohammad Ali Jinnah, since 1928, and was appointed general secretary of the All-India Muslim League by his leader in 1936. Over the subsequent 12 years, Jinnah and Liaquat developed a close working relationship, with Jinnah calling Liaquat “my right hand” in 1943, and appointing him prime minister in 1947. He held the position with great skill and distinction until he was assassinated on October 16, 1951. Liaquat was a reserved, outwardly calm person. Although he was not a demonstrative figure who craved attention and an audience, he was a skilled politician whom his political opponents often underestimated, as did the Congress Party, to their own cost. Besides, he worked in the shadow of the Quaid, who did not allow others to be the public spokesman for the League after 1936, or for Pakistan between August 14, 1947, and his death. Liaquat greatly admired Jinnah for his devotion to the cause of the Muslims. It was a devotion Liaquat shared and respected. He was always deferential to Jinnah in part because Jinnah always demanded deference from his followers, and in part because Liaquat always respected the almost 20-year difference in age between them. But Jinnah truly depended on Liaquat, who was at the centre of all the League’s activities before partition and as prime minister. Liaquat was an Urdu-speaking Punjabi, the second son of the Nawab of Karnal. He was educated in law at Syed Ahmed Khan’s Muhammadan Anglo-Oriental College, which later became the Aligarh University, and he remained devoted all his life to the modernist ideals and the integration of Western and Islamic learning he acquired there. He was a very good student and became a well-educated, well-travelled person who could, and did, conduct himself well during conversations of intellectual and ethical nature, as Viceroy Lord Wavell recorded in his journal. Liaquat was married to his first cousin in 1915 and had a son, Wilayat, born in 1919, the year after his father died leaving him an independently wealthy man. Liaquat then studied law at Exeter College, Oxford, and the Inner Temple, London. He was called to the Bar and returned to India in 1922 after touring Europe as a well-educated, cosmopolitan man, who could recite Iqbal’s Jawab-i-Shikwa by heart, was fond of entertaining and music, and whose passion was politics. He was also passionate about education and, among other things, he became the president and benefactor of the Anglo-Islamic School in Muzaffarnagar, United Provinces; president of the Anglo-Arabic College, Delhi (now Zakir Husain Delhi College); and he maintained a connection with Aligarh until 1947. As prime minister he continued his strong interest in education and spoke of its importance frequently. He registered to practise law in Lahore after his return from England, but devoted his life to education and politics. In 1923 he ran for election to the Legislative Assembly of India from the Punjab, but was defeated. It was, thus, an accident of history that left him associated with the United Provinces and not the Punjab to which he belonged. According to Dr. Shaista Suhrawardy Ikramullah, a Bengali who knew him well and whose husband served as Liaquat’s foreign secretary, he was “very much a Punjabi”. Liaquat was elected to the Legislative Council in the United Provinces in 1926 and for 20 years represented the province; first at Lucknow and then, from 1941, in Delhi, where he joined Jinnah in the Legislative Assembly of India. Jinnah appointed him the Muslim League deputy leader. He had always been interested in economic affairs, spoke frequently on the subject in the United Provinces’ legislatures and in the Legislative Assembly of India in New Delhi, served as one of the Indo-British trade negotiators in 1937, and was the first Indian Finance Member of British India in the interim government between September 1946 and partition. Liaquat had a legalistic bent of mind and he was a detail-oriented person capable of long hours of work. Temperamentally he was ideally suited to be the general secretary of the League, and all its committees — such as the Working Committee and the Committee of Action — revolved around him. He was also responsible for the provincial League parties, maintained voluminous correspondence, and frequently travelled throughout the subcontinent for the League. It was remarkable that the League became a well-organised, national political party just in the space of a few years due to Jinnah’s leadership and Liaquat’s organisational ability. Of critical value was Liaquat’s role in the creation of Dawn as a weekly newspaper in 1941 and as a daily, the following year. 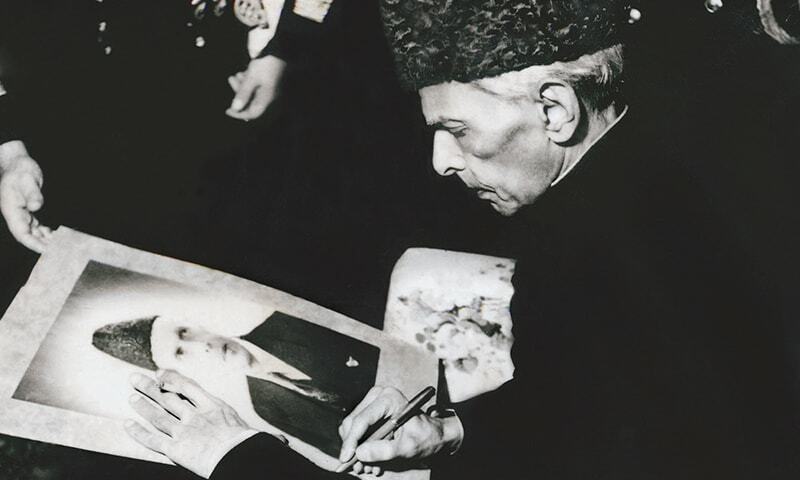 Dawn played a major role in publicising and popularising the demand for Pakistan, and in the elevation of Jinnah as a national and even international figure. Carrying the newspaper became a sign that one was a follower of Jinnah and a supporter of the demand for Pakistan. Indeed, Dawn was a catalyst for the creation of Pakistan. The founding of Pakistan in 1947 was the great achievement of the Quaid-a-Azam, but he could not have done it without the help of a number of leading supporters, of whom Liaquat was the most important. But Liaquat also had another great achievement in his life, and that was the establishment of Pakistan as a working state entity and the development of its policies, most of which have been followed since 1947. In the history of world leaders, Liaquat must be ranked with Clement Attlee, who created the welfare state in Britain, and Harry Truman in the United States, who formulated the US foreign policy which has been followed to this day. 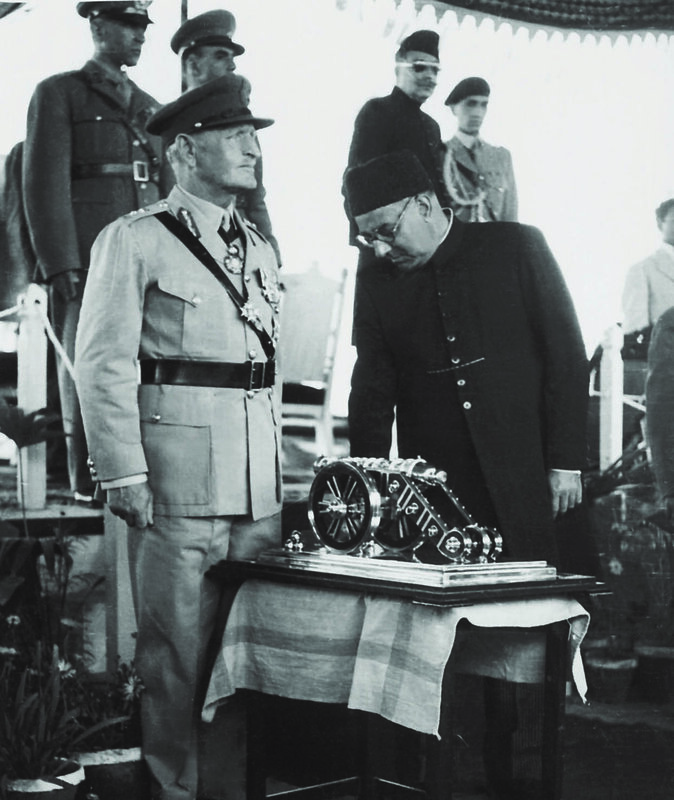 Liaquat had a much more difficult task than Attlee or Truman, as Britain could receive loans from the United States and the British Commonwealth countries, and the US had come out of the Second World War in a very strong economic and political position. On the contrary, Liaquat assumed the leadership of a completely new and untested polity, with very little international support. In 1947 both British and Indian leaders were talking about the possibility of Pakistan soon collapsing “like a tent”, openly discussing how many weeks or months Pakistan would last. It was Liaquat’s historical achievement that by the end of his prime ministership in October 1951 no one was talking about Pakistan’s imminent collapse. In 1947, Pakistan needed to create a state apparatus from scratch while absorbing millions of refugees, and fighting with India over Kashmir. In addition to ensuring Pakistan’s survival and the creation of government institutions, such as the civil service and the military, Liaquat was responsible for creating Pakistan’s national policies and 70 years later they have mostly remained intact. The cornerstone of these policies was the stabilisation of the economy along sound fiscal lines while aligning it with capitalist trends in the West rather than with the communist bloc dominated by the erstwhile Soviet Union. Pakistan had little choice at the time though. Turning to the Soviet Union for assistance was not much of an option as its economy had all but been destroyed during the War and its preoccupation with Cold War issues was not much of a help either. While the West in the end provided little economic support, Pakistan’s industrial development in the 1950s and ’60s was actually a result of Liaquat’s early policies. In addition to the economic policy, Liaquat also established Pakistan’s foreign policy, which the country has largely followed ever since. The first feature of this policy was in regard to India and the conflict over Kashmir. Liaquat never agreed to accept the Vale of Kashmir as part of India, a policy that has characterised Pakistan’s stance to date. Liaquat made a huge effort in India, England, and in Pakistan, trying to force India to agree to binding international arbitration over Kashmir. 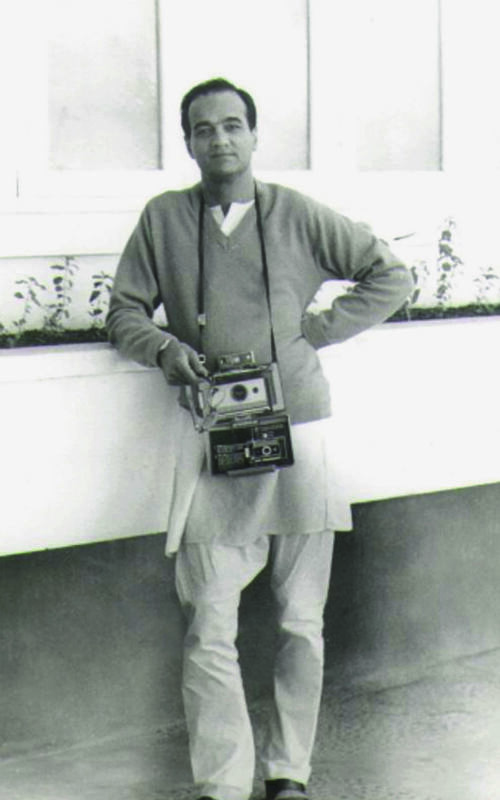 Even though he was not successful, his views on Kashmir have been propounded by all who have followed him since. The same has been the case with the policy of alliance with the West. As with the orientation of its economy, Pakistan had little choice in the matter. In 1947, the Soviet Union was busy draining its East European allies of their assets to build up its own industries. Allying with a state based on godless communism was also unacceptable, and had Pakistan done so it would have been isolated diplomatically by the West at a time when it desperately needed its support. As a member of the Baghdad Pact between 1955 and 1979, as a frontline state in the war in Afghanistan after 1979, and, again, as an ally in the war on terror in the post-9/11 world, Pakistan has followed the alignment set by Liaquat. It is only recently that Pakistan has started trying to develop meaningful ties with China. The third main feature of Pakistan’s foreign policy is its relationship with its Muslim confreres in the Middle East. Before partition, Jinnah had declared that Pakistan would be a friend of the West but oriented toward the Muslim Middle East. 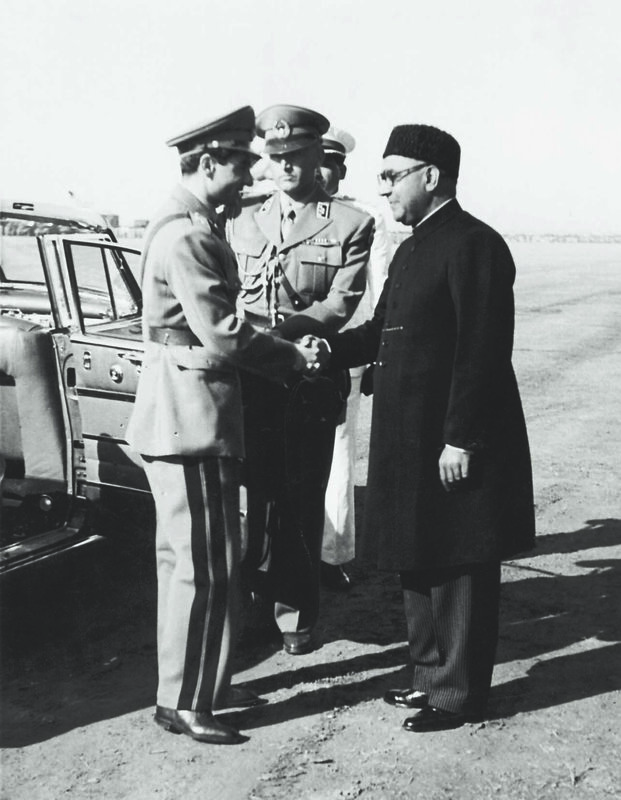 Liaquat sought good relations with all the Muslim countries, including Iran, which was the first country in the world to recognise the new state, and he welcomed the Shah of Iran to Pakistan in March 1950; the first head of state to visit the country. In the 1970s and ’80s Pakistan emphasised its Middle Eastern connections; in 2017 the country looks increasingly for assistance from the Middle East and seeks to play a significant role in military affairs in the region. Finally, with regard to its form of government, Pakistan continues to follow the path set for it by Liaquat. He had always been committed to a democratic political system and sought to create Pakistan as a parliamentary democracy in line with the Westminster model. But this had to be done while recognising and honouring Muslim feelings. These included the recognition that Islam is central to Pakistani life and its political system. Liaquat did this in the Objectives Resolution of March 12, 1949, when he started the process of creating a constitution which set up a parliamentary system but one that respected the sensibilities of the religiously-inspired. The Resolution, although amended, is part of the Pakistan Constitution under Article 2(A). Liaquat was a son of Aligarh and a devoted follower of its founder, Syed Ahmed Khan, and that explains his modernist philosophy of integrating Western and modernist Islamic learning toward creating an advanced society based on both. Socially liberal, he fully supported women’s education and the activities of his second wife, the dynamic and remarkable Rana Liaquat Ali Khan, who founded the All-Pakistan Women’s Association in 1949. From the creation of a modern military, a diplomatic service, foreign policy and diplomatic relationships, to the establishment of an educational system, a civil service, a state bank, and an entire economy, Liaquat was at the centre of all these activities and the inspiration for many of them. He believed he would have the time to write and promulgate a constitution, and convert the Muslim League into a well-organised and vibrant party as he had done for its All-India version in the years before 1947. Besides, he was also keen on establishing respect for all sects and creeds and viewpoints. When he was assassinated, he was only 56. Had he been the prime minister for another, say, 10 years or so, Pakistan would have developed more along the principles of the ideal liberal Muslim democracy envisioned by the Quaid-i-Azam and by his “right hand”, Liaquat Ali Khan. The writer is Professor of History, Eastern Michigan University. The ushering in of 1938 was the beginning of a full year, in the seventeen-month period, in which Muslims experienced for the first time in modern history life under a Government dominated by Hindus. By the end of the following year, they would feel that the resignation of the Congress governments from provincial offices would be a ‘Day of Deliverance.’ It was this experience of ‘Congress Raj’ that convinced many Muslims that their cultural and educational institutions would not be safe in an independent India dominated by Hindus. The speech given by Liaquat on March 28, 1938, was on communal matters. The speech was given during a debate on the budget in the UP Legislature, but, as was increasingly the case, accusations of communalism on the part of the government were raised by Muslim League members. This was increasingly a theme developed by Liaquat. 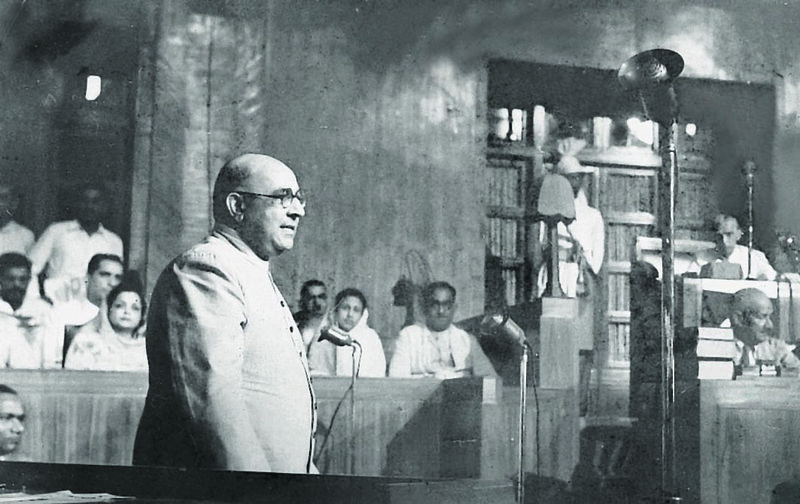 “Nawabzada Muhammad Liaquat Ali Khan: Sir, some honourable members here seem to be under the impression that this demand of the Musalmans for representation in the services is something new and something which is confined to this country only. The trouble with us, Indians, is that we never look beyond our noses. If my honourable friends had been following the events outside India, they would have found that even in the Western countries where the representative institutions are being run on most democratic lines this demand by the minorities for representation in the services is very insistent and persistent. Whereas in this country, though my friends talk of nationalism yet most of them would not even touch a glass of water if it was touched by somebody else. Is it not disgraceful to hear of ‘Hindu Pani and Muslim Pani’ at railway stations? So what is the use of talking about things which do not exist. We are living at a time when our culture is different, our social life is different, our religions are different. It is wrong to think that this demand of the Musalmans for representation in the services is a religious matter. It is nothing of the kind. Every minority feels that it must have adequate representation in the administration – not for the few jobs, not for loaves and fishes – so that it may feel secure and have confidence in the Government of the country. So I really do not understand when honourable member after honourable member stands up and says that this demand of the Musalmans is undemocratic, that it has no reason, or logic behind it, and that its motive is only to establish a Muslim rule in India. Sir, I assure you that he must indeed be a wretched Musalman who thinks in these terms of a Muslim rule or a Hindu rule. What every Indian wants is an Indian rule where everyone belonging to every community will have fair play, where everyone will have confidence in the Government of the particular province in which he happens to live. What we have to see is to create conditions under which the minorities will have confidence in the administration. What I want and what I feel is this that the minorities should be adequately represented in every department of the Government. It is really a question of creating trust in the administration of the province. Shri Jagan Prasad Rawat: What percentage do you suggest? The most important event of the year came at the end of the year with the British declaration of war without what the Congress considered proper consultation. As a result Congress ministries resigned. This led to the League declaring December 22, 1939, the ‘Day of Deliverance’, ‘as a mark of relief that the Congress Governments have at last ceased to function’. This was one of the two biggest blunders the Congress made in the decade before independence (the other was the Quit India campaign of 1942.) The resignation of the Congress ministries led to the party giving up all the power and authority it was acquiring as it established itself in the minds of the British and Indians alike as the legitimate inheritor of power. It was a disastrous political decision by the Congress, but a golden opportunity for the League to recover its fortunes; it did not miss the opening as its organised activities increased in number, frequency and intensity. On March 25, 1939, Liaquat delivered the Presidential Speech at the United Provinces Divisional Muslim League Conference, Meerut. “The present activities of Muslim League commenced from the General Elections. The question arose as to how the various Provincial Governments were to be formed. The Congress preferred party Governments to coalitions with Muslims. Thus in eight provinces we have Congress Governments which are fundamentally Hindu. After the acceptance of office by the Congress, an ever increasing number of defects in the Government of India Act have made themselves apparent, for under this act it has become obvious that there need be no Muslim at all in any provincial government – witness Orissa and Central Provinces – or if any – those who beside themselves represent nothing else –witness the rest of the Congress Provinces. Further it has become apparent that the protection given to the religious, cultural, linguistic and other rights of the minorities under the Instrument of Instructions to the Governors has proved, to be futile and meaningless. Under cover of Section 144 the Muslims are being denied their several rights. There is riot and civil commotion in United Provinces and Central Provinces and suspicion is gaining currency that the Hindus are being favoured, that the elementary rights of the Muslims are being ignored. This preconsidered majority and minority has created the critical position, that the Hindus are and will be the Government, the Muslims are and will be the Opposition, and the best orations cannot convert the majorities into minorities or vice versa. Centuries will pass and the Musalmans will be in opposition – always deprived of power. The year began with the League, especially Liaquat as Finance Member, fighting for Pakistan inside the Interim Government, and both Jinnah and Liaquat and the League Committee of Action, continuing to argue for Pakistan and working the provincial League parties, especially in the Punjab, Sindh, and Bengal, to establish or consolidate League power. Eight days after Prime Minister Clement Atlee declared that the British would quit India after transferring power into responsible hands no later than June 1948, Liaquat, in the Legislative Assembly of India in New Delhi, gave one of the most important speeches ever given in the chamber, on February 28, 1947. It was the Budget speech for the following fiscal year. As the first Budget speech given by an Indian Finance Member in British India it was not only a historic moment but it also had dramatic political effects. Dubbed the ‘Poor Man’s Budget’ it proposed special taxes on wartime profiteering that mostly impacted rich Hindu businessmen. Consequently, Hindus interpreted Liaquat’s budget as an attack on them by a Muslim Leaguer. For many of them, being challenged by a minority Muslim was the last straw; it convinced them that they would be better off by allowing Pakistan to be created and Liaquat, and many Leaguers along with him, migrating to Pakistan. The result was the mood among some important Hindu leaders changed and they began to accept the idea of partitioning the country and the creation of Pakistan. By March 14, Nehru, one of the staunchest opponents of both the Muslim League and partition, was acknowledging that Pakistan was inevitable. “The proposals that I have to place before this House, whether they involve the levy of fresh or the abandonment of existing taxation, are related, not to purely financial purposes, but to certain social objectives which, I am sure the House will agree, must be kept prominently in view by all those who have the good of the countless millions of this vast subcontinent at heart. India is a land of glaring contrasts and disparities; we have here on the one hand a class of multimillionaires rolling in wealth and holding the economy of the country in their grip by exploiting for their own profit the labour of the poorer classes, and on the other the vast multitudes who eke out, somehow or other, a miserable existence precariously near the starvation line. The conditions created by the last year served to accentuate these disparities; the rich became richer and the poor poorer. This meant the concentration of wealth in fewer hands and, inevitably, the use of that wealth for the purpose of tightening the stranglehold of Big money over the economic life of the country as a whole by the acquisition of businesses, public utilities, and the press. "IT made me tread on the air,” said Altaf Husain, after Jinnah praised him for the way he was articulating the Muslim point of view in his columns in various English newspapers in India. The meeting took place at the residence of Abul Hasan Ispahani, the year was 1936 and the city was Calcutta, where the Quaid-i-Azam had addressed Islamic College students as part of his mass contact movement. 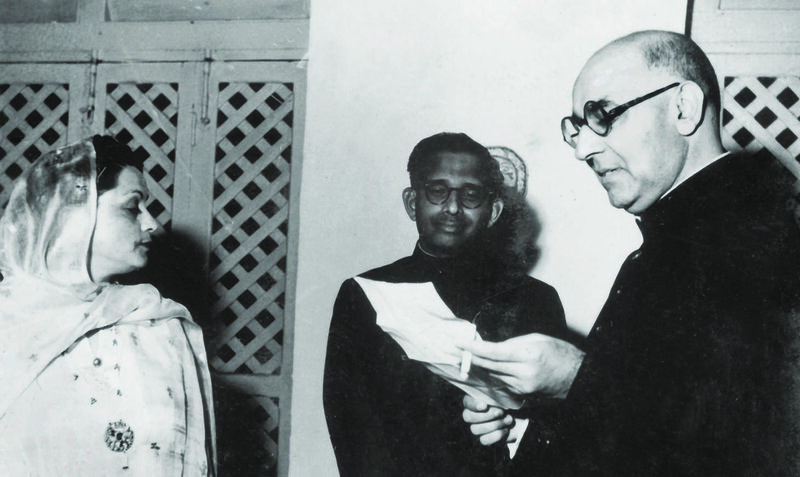 Even though the Lahore resolution was still four years away, battle lines had been drawn, because few Muslims believed in Congress leaders’ claim that theirs’ was a secular party that represented all communities of India. The Muslim League’s point of view went abegging in a colonial milieu in which 95 per cent of the newspapers were owned by “the British and Hindus” (Hector Bolitho, Jinnah, Creator of Pakistan, p 142). The situation was even worse in the English press, which presented only one side of the grim political situation as a world war neared. Rightwing Hindu organisations were becoming increasingly militant, because wherever there was a communal riot, the press blamed Muslims. In this impossible situation, Husain’s columns alone articulated the Muslim point of view in a way that earned Jinnah’s admiration. An ardent Muslim Leaguer by heart, he began writing a column, ‘Slings and Arrows’, as early as 1928 for the Ali Brothers’ Calcutta paper Mussalman; and ‘Candid Views on Current News’ using the pen name, ‘A Moffusil Muslim’, for the weekly Star of India, owned by the man who would be Pakistan’s second prime minister, Khawaja Nazimuddin. It was then in 1934 that the way he put across the Muslim point of view caught the attention of Roger Moore, editor of the Statesman, the prestigious British-owned Calcutta daily. Even though he was an officer in the information department, this did not stymie the urge of a zealous, would-be Pakistani, burning with Islamic pride and hurt sentiments, to reply with reason, logic and certitude to the unceasing barrage of vitriol against the Muslim League and Jinnah himself in the powerful Congress-owned press that enjoyed enormous financial backing from the Hindu capitalist class. The only choice for him was a pen name. Thus began the column ‘Through Muslim Eye’ by ‘Ainul Mulook’ in the Statesman. 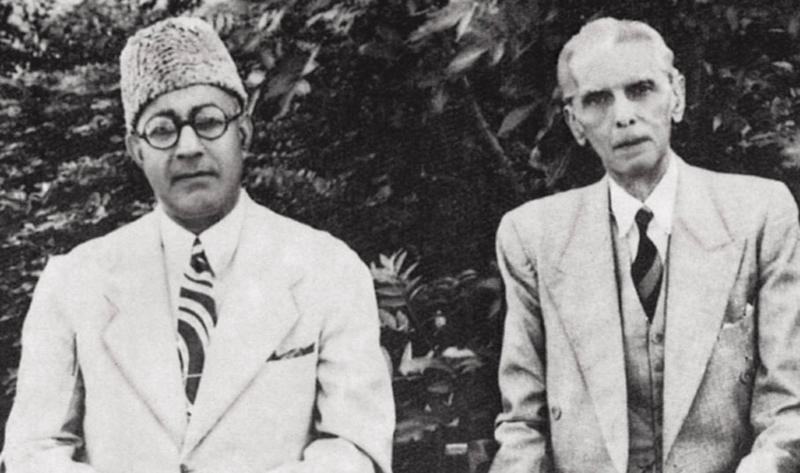 Husain thought nobody knew who Ainul Mulook was, but Jinnah had come to know of his identity through Moore and sought a meeting to personally meet a British government employee who was doing a superb job in highlighting the Muslim case in a hostile environment. “Before I took leave of him”, Husain recalled, the Leader “said things about my column which made me tread on air as I walked out into the street”. Things would not remain the same for Husain. Moore went on vacation to Britain, and the Statesman’s acting editor discontinued his column. When Moore returned, Jinnah’s intervention led to the resumption of Husain’s column, with ‘Shahed’ as pseudonym for his column ‘Dar-el-Islam’. Husain was now more assertive, his views being monitored closely by friends and foes alike because he was now receiving briefings from the Quaid. Dawn, however, had remained a weekly even two-and-a-half years after the Lahore resolution, and became a daily on October 12, 1942, when the Muslim League high command realised the gravity of the situation as the war seemed to be going against the Allies, and Congress launched the Quit India movement. In 1945, the Quaid asked Husain to take up Dawn’s editorship when the battle for Pakistan was raging and the raj was about to end. The man he would replace, Pothan Joseph, was himself a brilliant writer. Giving up a secure government job with a state pension just round the corner – and on a less pay – wasn’t easy for Husain. 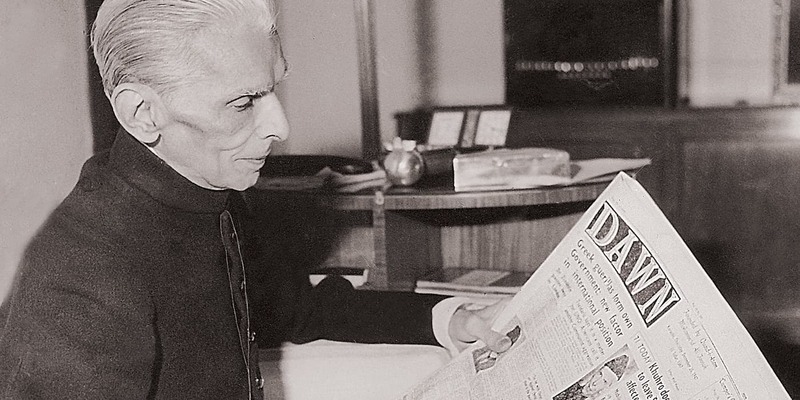 Nevertheless, Jinnah disarmed him when he told Husain in a letter dated June 3, 1945, that “man does not live by bread alone” and that through Dawn “you will be able to portray the views and aspirations” of South Asian Muslims. That settled it, and there is no doubt Husain proved himself worthy of Jinnah’s choice and carried his mission in an independent Pakistan after the Leader had died. On the whole, Husain remained Dawn editor for 20 years (1945-1965), 18 of them in Pakistan. As a junior staff member at Dawn in the old New Chalie building in 1960, I seldom had contact with him and never faced his anger except once when he found fault with one of my headlines. I dreaded him the way a primary school boy does the headmaster with a cane. He was prone to bursts of anger when something silly appeared in the newspaper, or an editorial contained what he thought was arrant nonsense. Since he was not a professional journalist, layout didn’t matter to him, but language mistakes and deviations from his policy briefs meant a stentorian dressing-down. Often, when he returned from vacations abroad, I distinctly remember many senior staff members feigning illness and going on leave lest a mistake led to comeuppance. Once a printer’s devil had ‘j’ instead of ‘k’, and his beloved country’s name appeared as ‘Pajistan’. Short of calling for a firing squad, there was nothing Husain didn’t do. The office building was shaking. He was a paladin, and his life revolved round a country in whose creation he had played a role as Jinnah’s mouthpiece. Occasionally, when something that appeared profoundly disturbing for Pakistan, he would be like a fish out of water and would be normal only after he had dictated an editorial – calling the steno to his Garden East home – to unburden himself. Those who criticise him for joining Field Marshal Ayub Khan’s cabinet think he grabbed the offer. 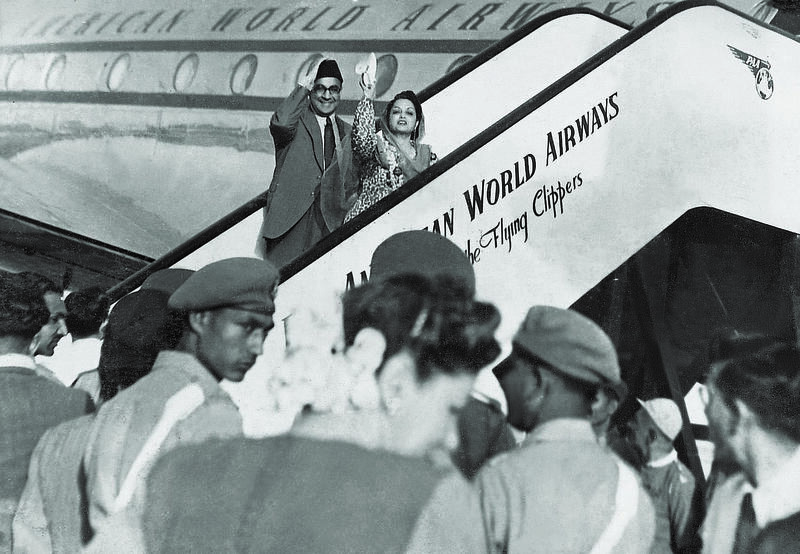 Actually, Ayub had been asking him for a long time – first on a flight to China – to become a federal minister, but Husain kept declining it, saying he hated bureaucracy. Ayub, of course, had a motive, for the barbs in Dawn’s editorials annoyed him. For instance, when the martial law government issued the Elected Bodies Disqualification Ordinance (EBDO) banishing many politicians from their trade, Husain’s editorial of Jan 9, 1963, deserves to be read. IMAGINE: a community of unarmed, peaceful citizens, working as journalists and seeking reasonable wages and the right to free expression. They are confronted with the banning of publications, the loss of jobs. They suffer arrests, torture and being sentenced under charges of sedition and rebellion. They are fined and flogged, assassinated by identified, identifiable and unidentified killers for the ‘crime’ of asserting their rights. Their work places – and even residences – are vandalised; torched and razed, and attacked with bombs and rockets. Faced with such challenges, the community justifiably felt the need to organise itself. The initiative for a national organisation of working journalists was taken by the Sindh Union of Journalists (SUJ), led by Messrs. M.A. Shakoor and Asrar Ahmad. They started with framing and adopting a constitution of the Pakistan Federal Union of Journalists (PFUJ) at a convention held in Karachi from April 28-30, 1950, resulting in the PFUJ coming into existence on Aug 2, 1950. The first confrontation occurred soon after partition when a top bureaucrat ordered that his excised (‘edited’/censored) version of the Quaid-i-Azam’s first address as the president of the Constituent Assembly be published. But the Dawn editor published it intact. It was in Jinnah’s lifetime that Faiz Ahmed Faiz, as editor-in-chief of the dailies Pakistan Times and Imroze, was arrested. A week later, Sindh’s leading newspaper Al-Waheed’s publication was banned and its editor was arrested. This resulted in the boycott of any news about the Sindh government. After Jinnah’s early demise, the bureaucracy ran riot. There is no evidence that prime minister Liaquat Ali Khan advised any restraint. Journalists and editors committed some reprehensible acts too: stalwarts, including Faiz, Altaf Husain, Hameed Nizami, Pir Ali Mohammad Rashdih, Z.A. Suleri, Mir Khalilur Rehman and some others, were party to punitive actions against newspapers and journalists, including the publication of a joint editorial seeking drastic action against the region’s oldest English daily. Unfettered press freedom was not acceptable to the civil bureaucracy-dominated and military-inducted establishment. It could obliterate quite a few dailies and other publications, which, counting both wings, numbered around three dozen during Pakistan’s first decade. Editors and working journalists, including Faiz, Suleri, Nizami, Ahmad Ali Khan, Zaheer Babar, Ghayurul Islam and Nasrullah Khan were arrested and action taken against their publications. Faiz was arrested having been identified as one of the ringleaders of a conspiracy to subvert the loyalties of Pakistan’s defence forces. By now, however, the PFUJ and its affiliates had established their credentials and could get some of the actions reversed. The Ayub regime put the press under siege with the imposition of pre-censorship, and the arrest of leading journalists, including Syed Sibte Hasan, Ahmad Nadeem Qasmi and Faiz. Pakistan’s internationally acclaimed daily The Pakistan Times, and other publications of Progressive Papers Ltd. (PPL) were taken over by the National Press Trust (NPT). The PFUJ Biennial at Dacca in 1960, in its resolutions, dealt with the military government’s excesses against the press. The Ayub regime responded by enforcing the notorious Press and Publications Ordinance (PPO), 1960. The PFUJ’s struggle entered a new phase with the participation of regional and provincial unions. 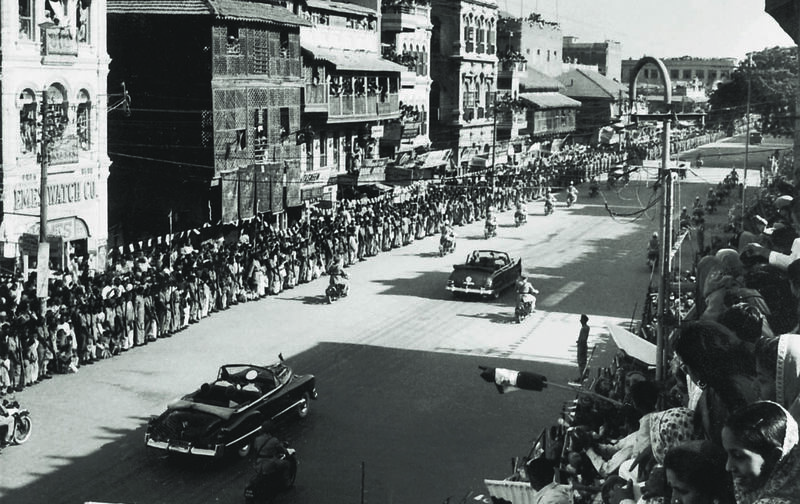 As the Ayub regime prepared for1965’s presidential elections, it started muzzling the media further. It took over the Associated Press of Pakistan (APP), and enacted amendments to the PPO that imposed further restrictions. 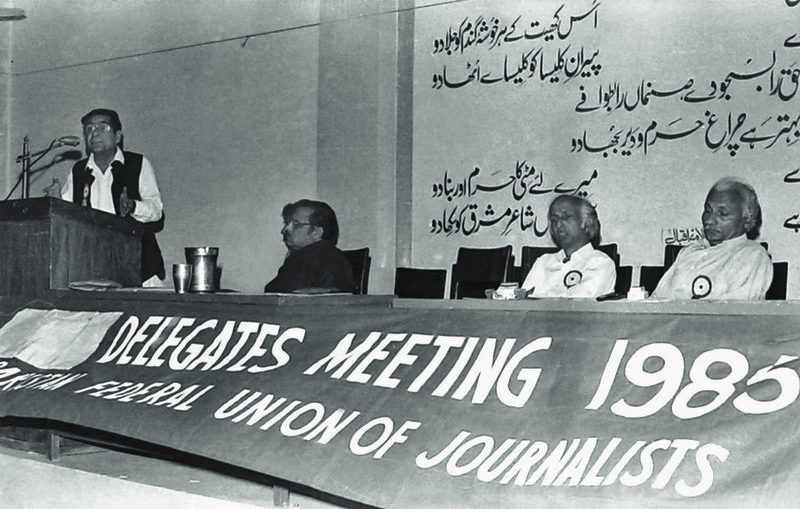 The East Pakistan Union of Journalists (EPUJ) and the Karachi Union of Journalists (KUJ) suggested a day’s strike, with the non-publication of newspapers. The PFUJ endorsed it and a countrywide strike took place on Sept 9, 1963. The All Pakistan Newspapers Society (APNS) and the Council of Pakistan Newspaper Editors (CPNE) supported it, resulting in the suspension of the enforcement of the amended PPO. It was later further amended, but the PFUJ continued to demand its withdrawal. After the 1965 war, the Dacca daily Ittefaq published the Six Points adopted by the Awami League. Its editor Taffazzul Husain was arrested, while agitating mobs destroyed the NPT building because its papers supported the government. 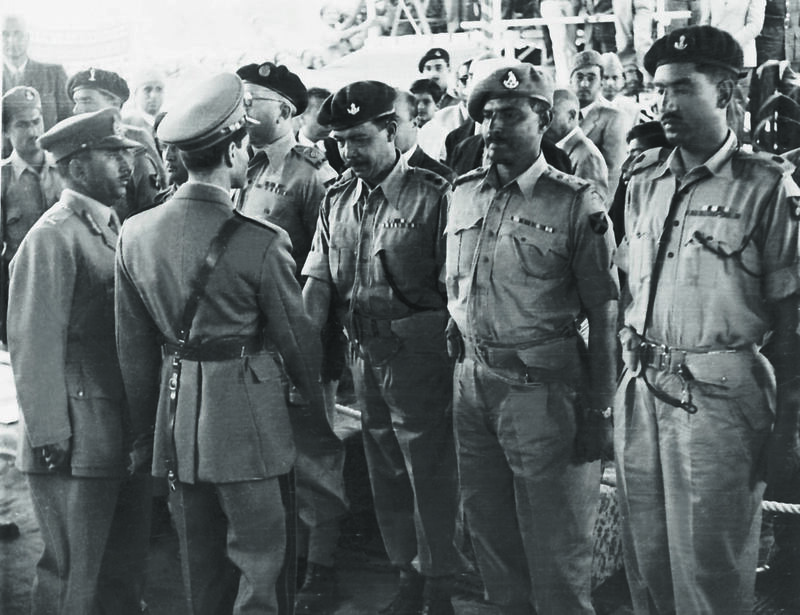 Gen Ayub handed over power to Gen Yahya in 1969. The latter’s refusal to hand over power to the Awami League resulted in rebellion in the eastern wing. Many citizens and journalists, including EPUJ leader Shaheedullah Qaiser, were killed in cold blood. Many others were arrested and tortured. A newspaper premises was razed to the ground by tank fire, while the editor of the Morning News, an NPT daily, S.G.M. Badruddin, rushed in his slippers to board the flight at Dacca airport to fly to the west wing. But his ordeal was not over: here, too, he was to face incarceration as editor of the daily Musawat during the Zia dictatorship. Zulfikar Ali Bhutto replaced Gen Yahya but his promises of abolishing the PPO and the NPT remained unfulfilled. Publications were banned, journalists, editors, publishers and printers were arrested, sentenced and fined. The daily The Sun, the Jamaat-i-Islami’s Jasarat, Mehran of Hyderabad, the Frontier Guardian of Peshawar and Hurriyet in Karachi faced action, as did Nawa-i-Waqt, Jang and even the NPT daily, Imroze. Once again, the PFUJ, the APNS, and the CPNE observed a day’s strike. During Gen Zia’s military dictatorship, about a hundred dailies and other publications were banned. After Bhutto’s arrest, the printing press handling Musawat refused to print it, acquiescing only after the PFUJ decision to start a hunger strike. The PFUJ offered rich dividends to the fraternity till its fragmentation. With M.A. Shakoor, Asrar Ahmad, Eric Rahim, Shaheedullah Qaiser, K.G. Mustafa, Safdar Qureshi, Minhaj Barna, and Nisar Osmani leading the community, journalists in both wings made sacrifices for press freedom. A military court awarded the sentence of lashings for courting arrest in Lahore to four: Nasir Zaidi, Khawar Naeem Hashmi, Iqbal Jafri who had travelled from Karachi to court arrest, and Masudullah Khan. Lashings were executed on three at a Lahore prison; the jail doctor did not let the sentence on Masudullah to be executed on ground of his compromised health. That was May 13, 1978. When PFUJ had to call journalists again the same year at Karachi, haris and labour also courted arrest. It ended with the restoration of Musawat and the release of arrested journalists and their supporters. Journalists had to confront not just the military regimes of Zia and Musharraf, but also the elected governments of Nawaz Sharif and Benazir Bhutto. Attacks on newspaper offices and journalists by state and non-state actors continued. The journalist community, having been divided into parallel bodies at the federal and provincial levels, had to limit its reaction to condemnatory statements and token protests. The emergence of the electronic media under private control was preceded by the hiring of staff through contractors. The induction of non-permanent and unprofessional staff became the norm. The sacrifices continued even at the cost of life as now it is a media free-for-all rather than a free press. Perhaps that had always been Gen Musharraf’s objective. Who knows? EVERY morning, many Pakistan policy-watchers in Washington start their day by consuming news feeds with consolidated news on Afghanistan and Pakistan or by perusing websites of Pakistan’s English dailies. Most also follow Pakistani journalists and opinion-makers on social media. Think tank seminars are the other major source of information for the town’s policy community, and tend to either feature Pakistani speakers visiting Washington or American analysts who are informed by their travels to Pakistan, or more likely, by the news and analyses appearing in Western and Pakistani newspapers. This fairly restricted set of sources is far from ideal and inevitably prevents a broadbased and holistic conversation on all-things Pakistan. Yet, none of the factors responsible for this limitation are easy to overcome. Undoubtedly the biggest hurdle is language. Hardly any American policy expert in Washington is proficient in Urdu. This renders the entire vernacular space largely irrelevant. Some US government agencies tend to invest in translations, but these are for internal consumption and not meant to inform the larger policy debate. Alternative avenues for information are minimal. For instance, the number of American policy experts with deep and trusted policy networks in Pakistan that would allow for the old-fashioned direct conversations aimed at soliciting information and analyses is abnormally small for a country of Pakistan’s importance. One major reason for this is a generational gap in American scholarship on Pakistan. Till the 1990s, American scholars and practitioners could travel the length and breadth of Pakistan, the Fulbright scholarship programme facilitated research trips involving fieldwork for upcoming scholars, and there were specialised Urdu-language programmes frequented by Americans. Moreover, American diplomats posted during this era could actually get out and about, interact with the average Pakistani, and imbibe society’s many complexities. Things began to change in the 1990s as the US-Pakistan relationship deteriorated. The situation worsened after 9/11, this time not because of paucity of funds or lack of interest but because Pakistan was deemed too dangerous a country for Americans to go exploring. The elder generation of scholars trained in happier times struggled to re-educate themselves in the profound changes the country had undergone. Younger American scholars who became interested in the post-9/11 Pakistan were forced to study it from a distance. Even those who managed to spend time in the country were seldom able to make it beyond elite drawing rooms in the major cities without major hassles. At the same time, the American embassy began transforming into an impenetrable fortress. Pakistanis hesitated to meet US diplomats and American officials had to contend with extremely onerous security restrictions in trying to engage society beyond the chattering classes. The deep-rooted mistrust in the bilateral relationship and the widespread negativity about the other on both sides have only made matters worse. Narratives are so mutually caustic that attempts in either capital to explain the rationale behind any policy – even if only to challenge conventional wisdom and spur fresh debates – entails serious costs for opinion-makers. I speak from experience. As perhaps the only person in the Washington think tank circuit whose very value addition to this town comes from being able to work on both sides of the aisle, I must live with constant allegations of being an apologist for the other side. Such an environment forces everyone to play safe. Trusted interlocutors willing to offer candid perspectives without watching their backs become a luxury. Conversations being guarded; everyone gets the party line; and analyses lose granularity. There are also other artificial restrictions on access to Pakistan that US policy interlocutors must contend with. The Raymond Davis affair has proved especially damaging in this regard. It led to a tightening of Pakistani visa processes for Americans, and even if these were not targeted at researchers, they have ended up being affected nonetheless. On the US side, the discipline of Political Science in academia has moved away from geographically-oriented area (regional) studies. Where policy-oriented university programmes exist, South Asia doesn’t feature in the list of the most sought-after regions. And in the handful of instances where strong ‘South Asia’ concentrations have survived, these have increasingly become euphemisms for India studies. Pakistan is often examined from an India-Pakistan lens or, increasingly, as a case study in terrorism and non-proliferation-oriented concentrations rather than in its own right as a South Asian state. The couple of Pakistan chairs in US universities sponsored by the Pakistani government have typically fallen prey to politics back in Pakistan; their selection process has lacked meritocracy for the most part. Academic spaces usually lend themselves to broader and deeper examination of countries than those consuming the policy world. In Pakistan’s case, academia offers little-to-no input to the think tank debate. This void has far-reaching implications. The American policy space is even more challenged in terms of its ability to diversify the debate on Pakistan. One way to overcome the limited access due to constraints on the Pakistani side would be to absorb a larger number of Pakistani/Pakistani-American scholars who can travel and interact with the Pakistani policy community freely, can absorb the vernacular media, and can bring their native knowledge-base to expand the conversation beyond terrorism and Afghanistan. Unfortunately, for various complicated reasons, this hasn’t happened. Among the dozens of Washington’s illustrious think tanks, I don’t recall any point in time in recent years when the number of Pakistani/Pakistani-American scholars was over half-a-dozen. It is now down to one or two depending on how you categorise people. These constraints mean that English-language press and social media feeds of opinion-makers in Pakistan are uniquely positioned to inform policy thinking and punditry in Washington. Those managing these outlets therefore bear tremendous responsibility to act professionally. Pakistani English dailies must not only present balanced news on foreign and security policy-related issues, but they must also offer objective analyses that are granular enough to add value for those forced to examine developments from a distance. Dawn is easily the most frequently read and cited Pakistani paper in policy discussions in Washington. It continues to garner respect among the serious policy minds. Columnists like Cyril Almeida and Zahid Hussain have a solid following and influence more minds than they may be aware of. Still, Washington could benefit from greater understanding of the vernacular media. Perhaps the English dailies could consider a section on their websites that provides a snapshot of the key TV and Urdu press debates on a daily or weekly basis. Also, while there will always be some self-selection bias on the part of the readers, the greater the diversity of opinions across the political spectrum among the columnists in English dailies, the more beneficial it will be for Washington’s policy readers. Finally, I am always fascinated by the online readers newspapers like Dawn attract and the feedback they provide columnists and news writers. These offer great data points for anyone who wants to get a pulse of the English-reading Pakistani (and non-Pakistani views on Pakistan as many comments are from foreign readers) and the various shades of opinions among this cohort. To be sure, none of this is a substitute for removing the very real and damaging impediments to the ability of American scholars to expand their information base on Pakistan. But till this happens, the onus of offering balanced, native perspectives to Washington’s policy community will remain disproportionally on the handful of Pakistani English dailies and social media feeds of key Pakistani opinion-makers with a following in Washington. The writer is a US-based analyst. 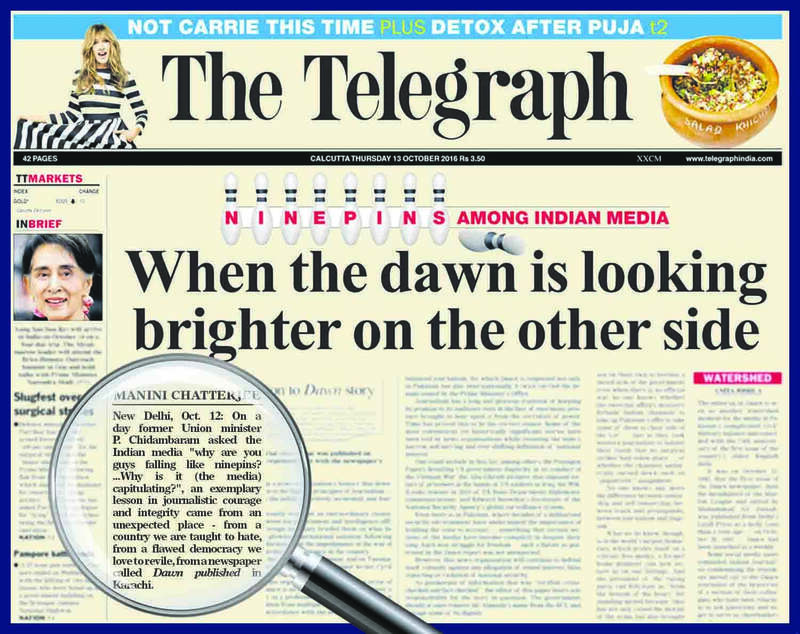 The front page of the famed Indian newspaper, The Telegraph, used the approach adopted by Dawn as a contrast to highlight what was happening on the other side of the border. AS a journalist, it’s a strange feeling to be reading newspapers that have not been delivered to your doorstep every day. New mastheads, fonts, bylines – not to forget the new content – take some getting used to. Just over 20 years ago, when I landed in Islamabad as an Indian (not foreign!) correspondent, there were no e-papers around and the Internet was something that was used to send emails. We are talking kbps connections. It was a print-dominated world and no one was predicting the demise of newspapers, an issue that continues to agitate pundits and analysts alike today. Pakistan was a PTV country when I landed; imagine the only channel that reported [General Pervez] Musharraf’s 1999 coup was state-owned! You can’t recognise today’s Pakistan from PTV; the private television networks that came post-Kargil have redefined public discourse in the country. So, as someone who had read about the country from afar and is aware that meeting primary sources is nearly out of question, what do you do about briefing yourself about the issues of the day? In 1997, you turn to newspapers. And in time followed bylines that proved to be reliable in their reportage. For ‘breaking news’, as it is now called, I listened to the evening bulletin on BBC Urdu. Soon, it was crystal clear to me that Dawn as a newspaper was in a class of its own. For me, it was (and remains) a cousin of The Hindu in approach and presentation. Sober in its reportage, it became evident that Dawn was the paper to follow. Muted and restrained, the newspaper’s distance from the power centre of Rawalpindi-Islamabad was helpful. Being headquartered in Karachi for a newspaper that was inspired by none other than Mohammed Ali Jinnah was definitely a plus. Physical distance from the centre of power makes different strokes from the pen an easier affair. Given that India-Pakistan relations have generally oscillated between bad and very bad, Dawn’s balanced stand on the bilateral equation while espousing the interests of Pakistan was evident to me. Ahmad Ali Khan was the editor of Dawn at the time when I was in Pakistan. Born in Bhopal, Khan worked in Dawn for a sum total of 42 years of which 28 years were spent as editor / chief editor – an astonishing feat by any standards. The debate on stability versus disruption has taken a new turn as newspapers shut down or shrink in the West in the face of the lurking digital threat, but volatile South Asia has benefited from the sobriety and independence that newspapers like Dawn have shown. It is in times of trouble that the mettle and independence of newspapers and editors is tested. For instance, it was left to Dawn to report that Ajmal Kasab, the only attacker in the 2008 Mumbai terror attacks to have been captured alive, was a Pakistani national. It took some courage to carry such a report, which was used by every Indian news outlet to drive home the ‘complicity’ factor in the Mumbai strike. At the end of the day, it’s not up to reporters and editors to anticipate how their stories are used or abused. Events have a flow of their own; they are not the outcome of ideological position or editorial stance. In a scenario where Indian and Pakistani officials can’t even agree whether Tulbul is a navigation project or Wullar is a barrage and end up putting the two together for “discussion” (remember the days when India and Pakistan had a dialogue going! ), facts are always, always sacred. Today, more than ever, when a couple of Indian and Pakistani correspondents have been banished from Islamabad and New Delhi, and both countries have their bilateral vision impaired, it’s up to independent newspapers and journalists to ensure that some sanity is retained in daily discourse and dialogue. Speaking from personal experience, there is little doubt in my mind that the professional conduct and personal relationships forged by many Indian reporters based in Pakistan has gone a long way in trying to build small bridges. My interactions with Pakistani journalists while in Islamabad opened up a world that would have been otherwise inaccessible to me. I worry about the current scenario where travel and contact between Indians and Pakistanis is so restrictive – there’s just one flight between Delhi and Lahore today. Reporters must have an environment in which they don’t have to balance facts with nationalistic concerns. The questions being asked must be founded in what the establishments are trying to hide. Ironically, in a world where social media is open to the worst kinds of manipulation and corporate interests often dictate news coverage on television and in print, the need for quality and independent journalism has never been greater. When one occasionally catches the worst possible jingoistic nonsense on some Indian television channels these days, the question comes to the surface – are we even in the same profession as these guys? Or are you a misfit in a re-defined profession? For all these reasons and more, I still turn to Dawn’s reportage and editorials for a sane view of what’s happening in Pakistan and to India-Pakistan relations. Speaking for myself, I need to reconcile what I see on Twitter from Pakistanis with the distilled wisdom of a 70-year-old newspaper. The bombardment of nonsense and non-news from all sides makes it all the more imperative for news outlets with a reputation of telling the story as it is to do more and do it better. Just like India, Pakistan has its own unique set of challenges. In its 70 years of existence, the country has seen many ups and downs, but there is little doubt in my mind that institutions like Dawn have helped find a path where none seemed visible. Today, the Pakistani electronic media is both visible and voluble. The country’s media institutions would be well served if they imbibed something of what has made the Dawn newspaper an institution to be reckoned with. The writer is The Hindu’s Resident Editor in Delhi. IN 1947, just like the immigrants moving both ways, ‘immigrant newspapers’ had travails of their own to overcome before they could settle down in their dreamlands. Indeed, like, people, many could not survive the transition for one reason or the other. Only a precious few could make it big. Daily Jang and Anjam arrived in Karachi. Civil and Military Gazette could not survive in its own geographical domain. Partaab, Milaap and Veer Bharat left for India. The 11-year phase at the beginning, till the imposition of martial law in 1958, was probably the most liberal in terms of freedom of expression in the country’s history. Once the boots steeped in, it has been a downhill journey for the press. In terms of face value, if nothing else, Urdu journalism has dramatically changed over the years. The fonts, the layout, the printing and all other mechanics have been successfully adapted to the modern digital technology. They are for sure better in form and style today than ever. The art of Urdu calligraphy – Khattatee – is dead, but technology has replaced it with due diligence. Likewise, the gathering, editing, storage and retrieval of data is all done on computers, making the life of sub-editors a little easier. Although technology has to cover a fair bit of journey before it gets completely comfortable with Urdu for all digital platforms and usages, the start is robust. Today, searchable news and classified advertisements are making Urdu readers’ experience with the medium easier by the day. And e-paper websites are giving readers a feel of the paper regardless of their geographical proximity or lack thereof. This marriage of the traditional and the modern is adding to the experience of Urdu readership. The amalgamation of text, sound and motion on a single platform is merely a look into the future and Urdu journalism has to keep pace with the changing times in order to face off the challenges that stare the global newspaper industry today. Unfortunately, while efforts have been made to move forward in technological terms, the journey in recent times has been in the other direction when it comes to professional issues, like, say, objectivity and credibility. Press releases still find a market in Urdu newspapers where editors generally prefer them over investigative reporting. It is not without reason that Urdu journalism is blamed for its campaign-style, hero-driven narratives on history, politics and society. This is critical because, regardless of what it does and how, Urdu journalism remains central in setting the tone of public discourse on issues of significance in Pakistan. The readers can’t be blamed for it. If anything, it seems to be their preference for objective news and views that political and religious parties struggled to publish their own newspapers in Pakistan with any degree of success. And that has been the case pretty much across the board. The Ahmadi community, for instance, published Al-Fazal from its headquarters in Gordaspur. It became a daily in 1935 and was shifted to Lahore after partition. The paper could not attract enough readership and was still struggling when it was banned in 1953. Strange enough, on the other side of the spectrum, the right-wing Jamat-e-Islami could not make its newspapers thrive either. Tasneem and Qasid were published in the 1950s but could not continue for long. The party published Jasarat on March 23, 1970, from Multan and from Karachi a couple of months later. The paper was banned by the Bhutto government and when it took a new start under the military rule of General Ziaul Haq, the paper had its own problems as the editor developed differences with the government and resigned along with his team. Today, as always, Jasarat has a very low circulation, and apparently the majority of even the Jamaat members don’t subscribe to it. The Pakistan People’s Party started Musawat from Lahore in 1970. After Zulfikar Ali Bhutto took over power, the paper started its editions from Karachi and Faisalabad. The end of his tenure just about sucked the life out of the paper which was then banned by the Zia regime. It resurfaced in Benzair Bhutto’s second prime ministerial term, but, like Jasarat, suffers from lack of interest even among party activists and sympathisers. The fate of the newspapers cited above is a clear indication that the readers want balanced reporting. It is up to the newspapers, especially the ones that are part of the national mainstream, to provide them with professional stuff or face extinction. Away from the news component, columns and opinion pieces remain an important part of a newspaper’s life; Urdu journalism being no exception. Here, again, the vernacular press suffers from some serious ailments that can only be rectified with proper training, education and, indeed, a paradigm shift. It is not uncommon among Urdu columnists to discuss their personal lives in their writings – sometimes the lives of their kith and kin even! At times, they end up recalling the prophecies they had apparently made in the past. Opinions are mere expressions of the torment or jubilation that the writer has supposedly gone through. There are but a few who stick to professional norms and present an objective point of view with reasoning and data. Be they news or columns, Urdu newspapers generally are not known for giving due coverage to stories related to human right violations, education, health, women, minorities etc. The practice of discouraging the award of byline to individual reporters is one of the reasons why reporters generally don’t feel encouraged to move about and dig something out. In the world of Urdu papers, news is what they get from generic sources, such as news agencies, press releases and television channels. Objectivity, balance, fairness and the right to reply are alien alien concepts for Urdu newspapers. There are communication researchers who believe that the establishment – especially its military component – follows different sets of policies for Urdu and English newspapers in the country. Issues commonly discussed with relative ease in English newspapers bring in their wake immense pressure when discussed in Urdu papers. This pressure comes not just from the establishment; political and religious parties, banned outfits and various pressure groups are all in the fray. The running thread behind most of these ills, arguably, is the absence of a professional editor who may lead his team along professional lines and protect his colleagues as part of his responsibilities. Even in organisations that do have a professional editor, his hands have been tied by the publishers who have given more powers to the marketing department. In fact, it is the publisher and the marketing personnel who are setting the tone in most of Urdu newspapers today. The writers are members of the academia. DURING the days leading up to the independence in 1947, Sindhi journalism played its role within the larger movement to attain freedom by creating a separate homeland for the Muslims. Once the target was achieved, regional newspapers became more objective and focused on their role of being society’s watchdogs. Owing to the migration of some writers and journalists to India in the wake of partition, there appeared a slump for some time but soon new publications appeared. Although newspapers and periodicals started coming out of various cities across the province, Karachi continued to remain the hub of Sindhi journalism well into the 1950s. At the time of independence, there was just one regular Sindhi newspaper coming out from Karachi; Al-Wahid that was brought out by Haji Abdullah Haroon in March 1920. Almost a quarter of a century later, Hilal-i-Pakistan was launched in Hyderabad. In the early 1950s, Nawa-i-Sindh, Naeen Sindh and Mehran joined the list of regional newspapers from Karachi, while Karwan came out from Hyderabad. Ibrat and Khadim-i-Watan had started off as weeklies, but were converted into dailies in the late 1950s. In the upper Sindh, Nawa-i-Inqlab and Nijat came out from Sukkur; Sarang, Nawa-i-Sindh and Ittehad from Jacobabad; and Nazim from Shikarpur. In the mid-1970s, there were two more additions from Hyderabad: Aftab and Sindh News. Kazi Aslam Akbar launched the daily Kawish in 1991, which has now become the first mass-circulated newspaper in Sindhi language and is the biggest success story in the 136-year history of Sindhi journalism. Karachi, which had lost its importance as a centre of Sindhi press, has regained its position with the launch of Awami Awaz, Jago, Kawish and Barsat, which later moved to Hyderabad. The press enjoyed freedom for only a few years after independence. Al-Wahid was suspended twice before it pulled the shutters down. Karwan was lucky as it just got away with one suspension but it had more coming its way not much later. The opposition to the concept of One Unit in the mid-1950s was the most intense in Sindh. Naturally, the sentiment got reflected in newspapers of the time and they faced the wrath of those who mattered. Karwan, this time, was shut down twice. The martial law regime imposed all kinds of restrictions on Sindhi press, just as it was doing with the national media. At one stage, the use of the word ‘Sindh’ was practically banned in official correspondence, newspapers and periodicals. It was replaced with terms like ‘Southern Zone’ and ‘Lower Indus Valley’. Even the map of Sindh that was used in the emblem of three leading Sindhi newspapers of the time was removed. Cut in government advertisements and newspaper quotas were some of the levers used to keep the press in tow. In short, all kinds of arbitrary laws were used against newspapers that showed any kind of defiance. The return to democracy in the early 1970s gave hope that the dark night was finally over, but, as it happened, 32 printing presses were closed down and a number of Sindhi newspapers and journals ceased publication during the first government of Pakistan People’s Party, led by Zulfikar Ali Bhutto. These included even the literary journal Rooh Rehan and showbiz magazine Filmi Duniya. The military government of General Ziaul Haq was the most ruthless of them all in terms of media curbs. Under the censorship laws, almost every piece of creative writing was subjected to meaningless restrictions. Only Naeen Zindagi survived the onslaught as it existed with selective ideology and stayed away from both creativity and research. Other than the newspapers, the tradition of Sindhi periodicals is pretty strong. Latif, Aaj Kal, Ahle Qalam, Laal and Aftab made their mark in the early years of independence. The Sindhi Adabi Board began publishing Mehran, a quarterly, in 1954 which is today counted as a prestigious literary journal. It has a record of uninterrupted publication over the years, offering a decent forum for both creative writing and research. Almost all eminent Sindhi writers have been associated with the magazine. Suhni, founded in 1967 with meagre finances, also grew into something big by attracting a large audience with its creative output. As for political journals, Agte Qadam and Naoon Niyapo also created space for themselves, but couldn’t survive the changing times and had to cease publication owing to political reasons. 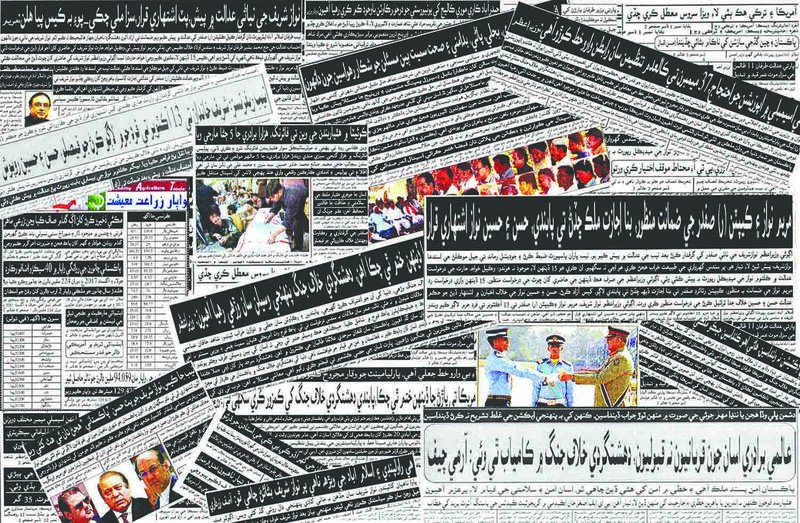 Overall, the universe of Sindhi newspapers and periodicals is much larger than any other regional language in Pakistan. And, the good thing is, it is continuing to expand. A comparison between the prime minters shows the whole progress this nation made in 70 years . He was a simple man in word and deed. Our leaders please take notice that Liaquat, having left all his property in India, refused to file a claim to which he was entitled as a ‘refugee’. He did not amass property portfolio and sugar mills. Today I knew that our first PM had two sons. @wellwisher What about Nawab of Hyderabad, did his wealth increased or decreased after 1948 ? He was a great leader. Nawaz Sharif and Zardari should learn from him. He was a great man. ' Objectives Resolution' was one of his biggest achievments which became the basis of all future constitutions of Pakistan. @wellwisher and he would be a no one in the history. History of Pakistan is still unfolding as history itself is unfolding and this man will always be a giant of the entire history, thanks to his decision to take an uphill battle and an arduous journey. 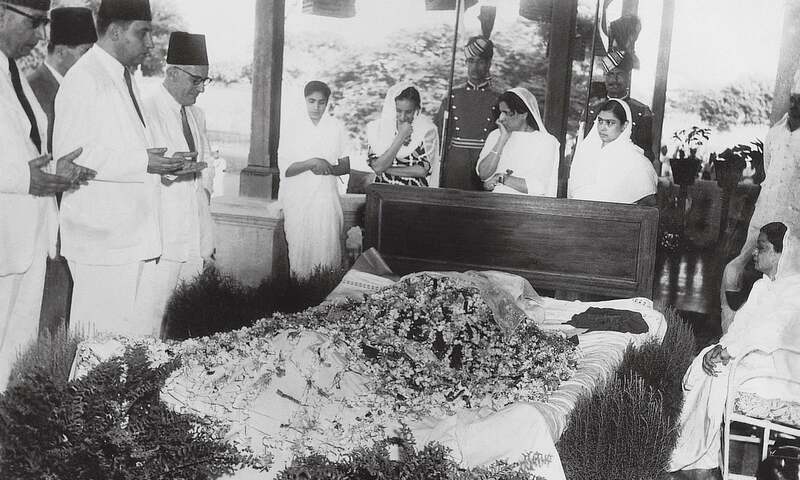 I very well remember when the first Prime Minister, Liaqat Ali Khan, was assassinated. I was in the environ of Company Bagh, Rawalpindi (original name of Liaqat Bagh) The crowd ran over me and I was seriously wounded in the rampage. At that point I thought that was the end of Pakistan. How true! True Leaders, unlike today's leaders who are "LOOTERS" !!! Very well written. I wish the writer could inform us more of Liaquat's contributions in the wake of Jinnah's demise and after. A great personality of high moral value standards. Let anybody comment anything, such personalities are extinct in our present generations. It's a very sad end for such a fine leader. Thanks to DAWN to know about a person of our freedom days, whom I didn't know till now. Liaquat Ali Khan was murdered in Punjab, like benazir, bhutto..
the writer has made a remarkable effort in removing pertinent doubts about the policy decisions taken by Liaquat Ali khan and to uplift his image as a true patriotic Pakistani an avid promoter of brotherhood and friendship for minorities as per the tenants of Islam. Such information must be presented on electronic media as well to erase doubts about the leaders of Pakistan movement such as Liaquat Ali khan. While the controversy encompassing his murder is a dilemma however if we make sustained efforts to implement the provisions of constitution especially giving due rights to minorities we would perhaps compensate the loss of his tragic death in real terms. We will always be proud of Liaquat Ali Khan. Had we had him few more years course of history would have been different. Great leader, great freedom fighter. But same times great leaders too make great mistakes. Once he barred Mr Suhrwardhy, the Chief Minister of United Bengal, savior of muslims of Kolkat, to enter into Pakistan from India after partition as he branded him a communist. That was very unfortunate. We bengalis made him a member of parliament from Dhaka. 'Liaquat definitely deserved better. ', agree wholeheartedly. As a nation, it seems to me that we are not good at giving proper credit to people who have made genuine scarifies for the country. I respect and acknowledge his contribution to our country. @Hameed Why and how could they learn ? For them LAK is just part of history. He did not bring his progeny into politics as our Generals and politicians later did. Really led a simple life free from any corruption, nepotism and bigotry. I believe he would not have fallen to an assassin's bullet had he stayed behind in India. Oct 16 should be declared a public holiday. Can any body tell us what his sons are doing ....I remember they had lavish houses at bathisland karachi.....famous ridge house at bathisland karachi also belongs to them. Late PM Liaquat Ali Khan Sahab was the creator of Quota System in Pakistan? just read in this article that "Liaquat immediately fixed a 50 per cent quota for East Bengal civil servants to generate parity". The fact of the matter is that the biggest beneficiary of Liaquat Ali Khan's assassination was the established, which continues to rule. Almost all leaders of Pakistan have met with strange and premature deaths. ? @wellwisher I doubt that. mos tof his weath was through land holdings and he would have lost a large part of it due to abolishment of zamindari there (which was a good step actually). P.S its Muzaffarnagar not Mujaffarnagar. @traveller . It was bhutto who created quota system for your record. Yes, decision of India to participate in Korean war against western powers made them to help Pakistan. Liaquat biggest mistake was Liaquat Nehru Pact. By and large LIAQUAT did fairly well as one of the creators and builders of a new country. Does any body know about his two sons? The first PM did many correct things, but akso did many grave mistakes. He was elected from where? And how he was elected or selected? Why the Objective Resolution was passed in a hurry without debate? Why no progress was made to confirm constitution? Why started segregation of the country's citizen from eastern wings? Why the Baloch leaders were sidelined and humiliated? He did good things but was not blemish-less. Leys tell truth and whole pure truth. 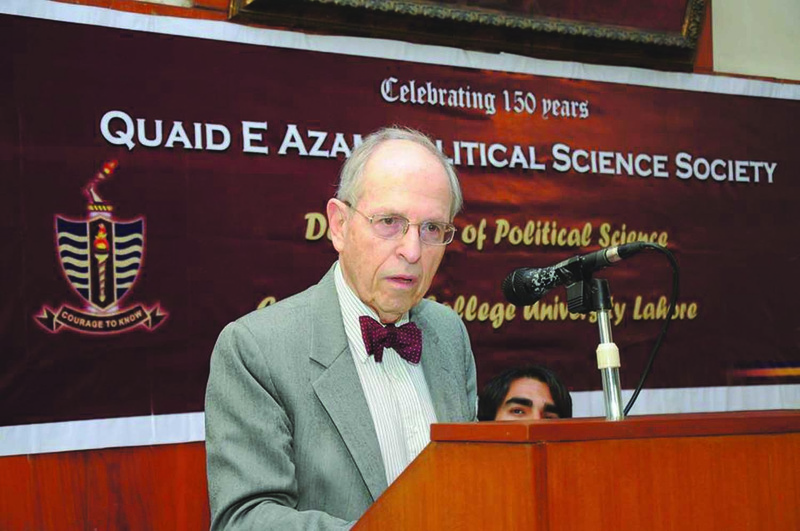 American scholar Marvin G Weinbaum is addressing a gathering in G C university lahore not Quaid e Azam University. Thanks to DAWN for publishing this “Special Report” on Liaquat Ali Khan - Pakistan’s first prime minister. He was a trusted lieutenant of Quaid-i-Azam, Mohammad Ali Jinnah. This is a very well written informative article published on his death anniversary. He was a great man and also a great leader. May Allah bless him ....Ameen! golden days gone with golden people. What a great first photo, three pillars of our nation. When they died, they did not leave any thing for their families except moral stories. We will never forget what Dictator Ayub Khan did with Fatimah Jinnah. @wellwisher All the Nawabs in India are not nawab any more , they don’t any land because they never own one they used to tax the land . After partition India and Pakistan both abolish Nawabiat system. He gained more from Independent Pakistan than living in India. A great man of our history. @uzwaulhaque his wealth remained unchanged. His jewellery,palaces,cars, personal land everything. The only thing that changed was that he didn't remain ruler of Hyderabad state. A ruler doesn't own the entire land of the state. as I understand that the PM was ready to make a deal with India by agreeing to make LOC as border which infuriated some in Pakistan resulting in the PM's murder. I Don't know how far it is true. can any body enlighten me please. @wellwisher : His family owned the property and Liaqat Ali Khan's family ( his biological father ) was not rich. His mother married ( second marriage ) Nawab Ruknudaula and thus became rich. His cousins and uncles paid for his education. The properties left in India was claimed by his cousins. He could not because he owned nothing. @wellwisher may be he should have so at least he would not have been killed by his own people… The punjabise. @uzwaulhaque Decreased because he sent plane loads of money and gold to Pakistan so the government can pay the salaries and today the Punjabise question the patriotism of the Mohajirs?? @asad yes so what does it say about the punjabise?? Its never late to learn the lessons from these legendary characters. We should believe in true democracy, recognize the equal rights of all citizens, give respect to each other, work with honesty ......... such leaders are still showing us the way through the legacy they left behind, we need to wake up and do our part as individuals and as a nation. Liaqat love for minority can be examined in view of only Hindu Minister Mandal 's resignation letter>In which he has listed concrete facts of minority discrimination and his objection to the way Objective Resolution was passed. There is an error in the caption for the first audio extract "Liaquat Ali Khan’s speech on August 14, 1948". This speech could have only been delivered after QA's death on September 11, 1948, probably the same day, or next. @Jalaluddin S. Hussain , Very very well said brother. Agreed 100%. But I do wish and pray that one day soon the conspirators behind his assassination are identified. He was not from Punjab. So wasn't Benazir. Point to ponder. Assasination of Liaquat Ali Khan was a cruel attack on the whole nation. I fully remember, my father started crying on hearing on the radio that the Prime Minister was assasinated. I was very very sad. I think the whole nation cried that day. Whoever was/were behind this callous murder, may they burn in hell. Liaquat Ali khan being first prime minister of country should have to give preference to visit to USSR instead of US first as his visit to US caused freeze the increased relation with USSR which caused great loss to the country. If the right policies should have been continued and merit based promotion in army ranks must be made then all doors for dictators must have been closed and the country would not have faced the dismemberment days. @Zak In one word, persecution. He was the great leader of our history , our leaders Imran Khan, Nawaz Sharif and Zardari must learn from him. Although he was a great leader but no one reasonable can say that he was blameless Specially when it comes to handle the soviet trip. @wellwisher probably I would have done the same i.e. staying back but it varies from person to person. To some, these things dont matter and satisfaction of achieving a vision is more important. Such people are rare though. @Jalaluddin S. Hussain Thank God you survived the rampage. He created rather transplanted a constituency for himself and thus laid the foundation of ethnic polarization in Pakistan. If he had lived he would have lost face. People's party and PMLN would have called him corrupt and Imran Khan would have asked his favorite third force to remove him. @Rashid Our last Prime Minister also have two sons. He was a patriotic leader. Held nation together at the time of death of Quaid i Azam. An honest and simple person. Liakat Ali is a very common name in Bangladesh . Many parents choose this name for their children showing respect to the then Prime Minister of Pakistan as well as his popularity among masses . Most Bengali (non-government) newspapers, magazines, editors, journalists faced the wrath of Pakistan government from 1947-1971. Not the appropriate homage to the greatness and honesty of Liauqat Ali Khan. On the pretext of admiring him for OR and foreign relations ,unnecessarily finding excuse to sling mud on ZiaulHaq for his Islamization agenda . The Objective resolution presented by the Qaued was agreed and approved by the 'Ulemaa' and no one had disagreed. DAWN has a biased approach often against any thing and any person of nation's history which seemed supporting it's Islamic identity . Is not it so? In this country, Prime Ministers are not spared, what to talk of common man. Since inception of Pakistan there is controversy over how our Founder, his sister Madre Millet and the very first PM, who was behind their demise? On October 16 the death anniversary of an honest leader Liaquat Ali Khan was observed by few people as the federal or Sindh government failed to observed the day officially. The Sindh government will observe Benazir Bhutto's anniversary officially in Sindh from national exchequer and tax payers money but about honesty there is nothing in government's pockets. No supplements in national newspapers no memoirs on electronic media except DAWN tv. Just after two months on Dec 27 we will witness the government interests. The fact is that there are many similarities in the murders of Benazir Bhutto as both were the prime ministers one serving and other (BB) former, The city was the same (Rawalpindi), the venue was the same Liaquat Bagh, both addressed the public gathering just before their murders, killers of both the leaders were also killed on the spot and last but not least both the cases are unsolved yet. But the only difference is the anniversary day observed in different style. @M. Emad Life for Bengalis stopped in the so called year 1971.There is no history before 1971?